As a part of the annual day celebrations of Canadia Trust, the team makes sure to visit a place located close by to Bangalore. During one such occasion, we had a chance to visit the beautiful Sri Bucheshwara temple of Koravangala. Koravangala is a small sleepy village located off the Hassan - Arsikere highway. 'Sri Bucheshwara temple' is a grand Hoysala temple built in 12th century AD by Bucha, the younger brother of Govinda, an officer working under King Narasimha I. This is a dwikuta temple dedicated to Lord Shiva in the form of Linga as its principal deity and Lord Surya as a secondary deity. The temple consists of 2 garbhagrihas with 2 antaralas, a sabhamandapa and navaranga with 2 mukhamandapas. The dravidian shikara on the main garbhagriha is a grand structure with 3 talas, surmounted by a vedika and kuta roof with a kalasa. The navaranga is square and stands on four central lathe turned round pillars. The ceiling of the navaranga has 9 ankanas decorated with different types of mouldings. The outer walls of the temple are decorated with various forms of Lords Shiva and Vishnu. The open sabhamandapa is star shaped, standing on four central lathe turned round pillars. The Hoysala emblem adorns the vestibule of this temple. There are two sculptures of standing elephants in front of this temple at both the entrances. There is also a big inscription stone inside the temple compound. The ASI has done a great job in maintaining this temple. The care taker of this temple also doubles up as a guide. 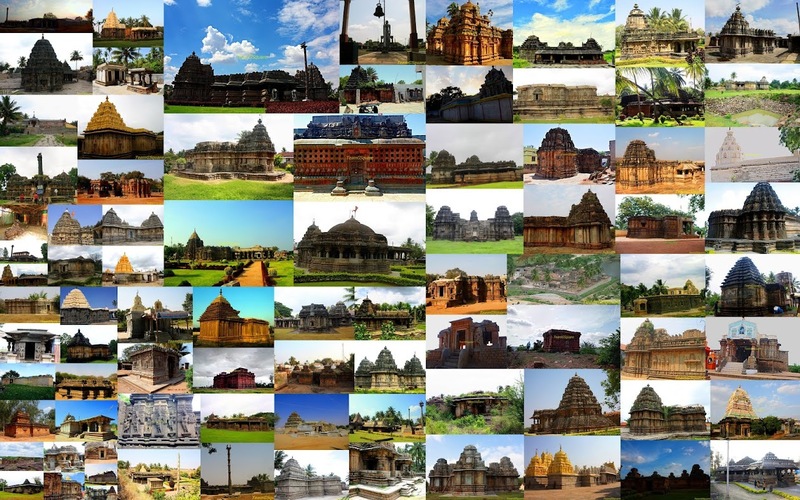 Other Places to visit nearby: Group of Hoysala Temples at Mosale, Shanthi Grama, Arsikere, Belur and Halebidu, Shettihalli Church, Gorur Dam, Sanka Hoysala Temple, Kondajji Hoysala Temple, Doddagaddavalli Hoysala Temple, Garudanagiri Fort, Maharajanadurga Fort and many such. How to Reach Koravangala: Located off the Hassan - Arsikere Highway, about 13 km from Hassan. Accommodation: There is no option of accommodation in Koravangala; one can stay at Hassan where there are plenty of options to suit one’s budget. We usually choose Hotel Suvarna Regency, which is quite affordable with all modern amenities. One can also choose to stay at Hotel Hoysala Village Resort which is an upscale resort located close by. Great tour again. I can never get tired of these beautiful carvings. Beautiful temple. The details are amazing.